You’ve updated your profile, added connections, followed companies, and garnered some endorsements and recommendations – what’s left for you to make the most of LinkedIn? Groups! Joining groups has many benefits, such as networking with industry leaders or getting feedback on ideas, but as an IT professional how do you know which LinkedIn groups are for you? We’ve scoured the thousands of groups for IT professionals on LinkedIn and chose 10 groups that best represent the diversity of the IT community. Founded in 2007, this group has grown to over 92,000 members, making it one of the largest groups for IT professionals on LinkedIn. This group is associated with the IT Specialist Network and focuses on Q&A and discussion related to network engineering, software development, and enterprise applications. 15 subgroups allow you to find your perfect niche. At nearly 7,000 members, this group is the perfect place to network and connect with other IT professionals on LinkedIn and beyond. A subgroup of TopLinked, which has almost 140,000 members, and affiliated with TopLinked.com, this group helps those in the IT field connect on multiple social networks. This group takes a global approach to IT networking. Its 10,000 members are a mix of entry and senior level professionals from around the world. Posts in this group are mostly IT discussions and relevant articles, with some IT job postings included. This group is perfect for those looking to expand their reach and have an interest in international IT. This group of over 82,000 members is specifically for information technology leaders- Directors, VPs, and CIOs. Founded in 2008, this group seeks to connect professionals for networking, discussing IT issues, and job hunting. The CIO Network group is full of engaging articles and discussions between the leaders of the IT field. Founded in 2009, this group is a great place for women in IT careers to connect. With more than 4,000 members from various geographic locations, this diverse group has many active discussions and job postings. Women make up only a small number of jobs in IT, making this a valuable resource for women to connect. Within this group, women can discuss specific challenges they face daily in the information technology field. Almost 132,000 members since 2009 make this one of the largest IT groups on LinkedIn. This group is for job openings, job leads, and job connections in IT. It is made up of mostly entry level job seekers in various IT fields. Advice and articles aimed at novice job hunters also populate the discussion feed. For those working in IT with an interest in enterprise architecture, this 92,000 member group is a must join. Making hundred of comments per week, members of this group are very engaged and actively exploring ideas within enterprise architecture. This group, founded in 2007, offers value to both beginners and experts. Founded in 2008, this group has grown to be LinkedIn’s largest for all things related to information technology audit, compliance, and forensics. The nearly 39,000 members generate many discussions, comments, and promotions each week. This group is strictly moderated, so you won’t find spam clogging the discussion feed. This 19,000 member group is for anyone working in the healthcare information technology field. Areas of discussion include public health, clinical systems, health informatics, and eHealth systems. Members also discuss the standards that drive this technology, including those related to privacy and security. Dedicated to communication and sharing between IT managers, this group has amassed more than 5,000 members since 2008. Posts in this group range from hiring and job seeking to advice, questions, and IT related articles. This fast-growing group brings together IT management professionals from all over the globe. This list is a good jumping off point for determing what you’re looking for in a group. 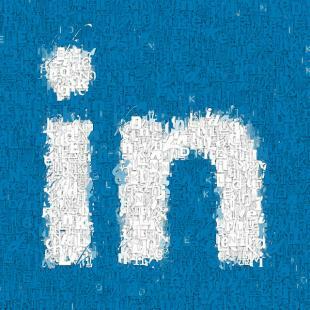 Once you’ve found one, educate yourself on best practices for communicating on LinkedIn.